Have no fear and may the force be with you; the following review for Rogue One: A Star Wars Story is spoiler free. 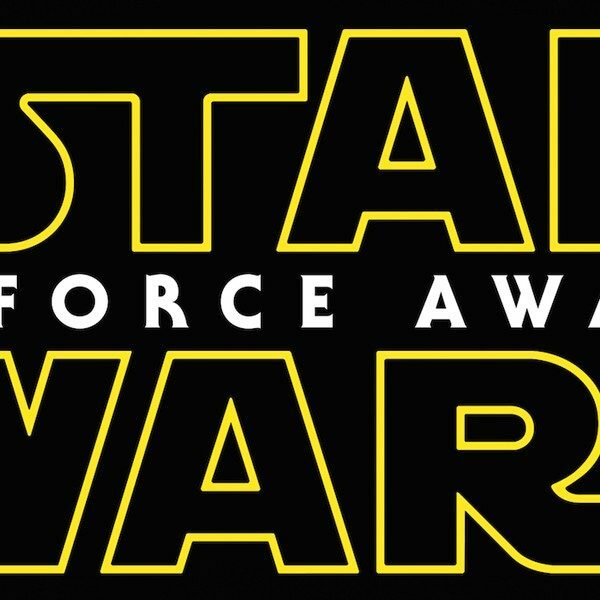 One year has passed since the Star Wars universe made its way back to the big screen. This turn, of course, was proceeded by Disney’s acquisition of Lucasfilm and their ambitious attempt to re-launch and expand the franchise behemoth as well as dispel the ugly stench left behind due to the three crumby prequels thrust into the public consciousness earlier this century. The first test – last winter’s Star Wars: The Force Awakens, shepherded by director J.J. Abrams – appears to have passed with flying colors, if box office, Oscar nominations and parody Twitter accounts are any indication. Now comes the second test in Rogue One: A Star Wars Story, a spin-off story (or Star Wars Anthology film) directed by Gareth Edwards (Godzilla), which might just a riskier proposal. On one hand, Rogue One is the first (in what may be many) movies that deviate from the big-screen Star Wars tradition. On that, while situated in the same cinematic universe, Rogue One centers on an alternative course with a brand new set of characters and explores a parallel journey. Here’s a standalone spin-off, that while beholden to Star Wars lore, isn’t quite as shaped or restricted by the seven films it followed, or three films…it’s a complicated time line. Secondly, and this viewpoint will have to be delicately skirted, Rogue One is easily the most intense and gritty entry to emerge yet from the canon thus far. It’s good too. 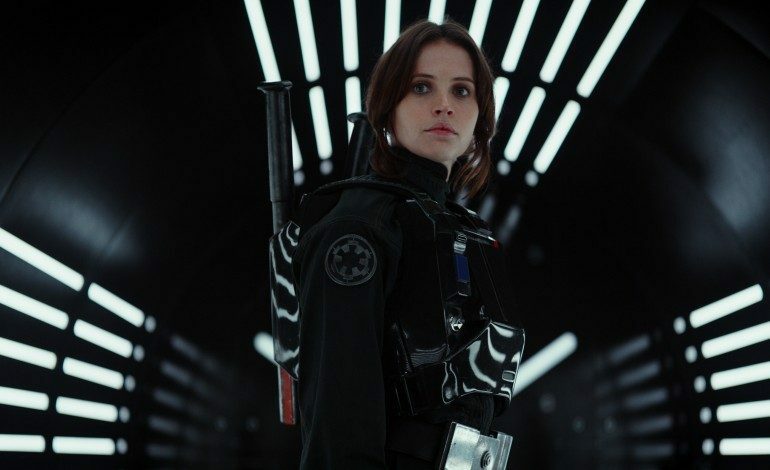 Set a tick ahead of the original Star Wars (1977) and in keeping with franchise tradition, Rogue One is an ensemble piece by nature but held together as a leader emerges in the form of Jyn Erso (Felicity Jones), an industrious if ambivalent young woman. Also keeping with tradition, Jyn experienced a particularly turbulent childhood, to say nothing of the volatile intergalactic commotion between the Imperial Army and Rebel Alliance unfolding in front of her impressionable eyes. What’s striking and a bit novel considering the form – Rogue One was written by Chris Weitz (The Golden Compass) and Tony Gilroy (Nightcrawler) from a story by visual effects artist John Kroll (Avatar) and Gary Whitta (The Book of Eli) – is that Jyn, as embodied and expressed by a compelling and no-nonsense Jones, is a pricklier, more introverted sort. While clearly intelligent, Jyn is determined and grounded by pragmatism rather than virtue or direction. Qualities of which prove problematic, at least at first, when Jyn is tasked to join the Rebellion. Tensions clash early between Jyn and Alliance officer Cassian Andor (played by a charismatic Diego Luna) as do shifting agendas. (As is mandated by Lucasian scripture, Cassian is assisted by droid ally K-2SO – in a motion-captured performance by Alan Tudyk – who delivers much of the film’s snark and humor, mostly directed at Jyn’s expense.) The relationship slowly grows more solid as the film bridges forth, as does the canvas and scope of the movie of a whole; admittedly the exposition-heavy first half of Rogue One isn’t the film’s strongest but results in a harrowing, rather thrilling manner. The trick effect is that Rogue One cleverly unfolds as a caper wrapped around a war epic curled into a Star Wars footnote. By extension, the movie unleashes grit, and perhaps a little grace, by way of a deceptively simple narrative. Along the way, Jyn and Andor assemble a motley crew of renegades, which include a gone-rogue Imperial pilot (a live-wire Riz Ahmed), a blind, force-feeling warrior (Donnie Yen) and a freelance assassin (Jiang Wen). As is a plan, in the form of capturing the design schematics on the Empire’s new weapon to end all weapons – a new Big Bad is introduced as well in Orson Krennic (Ben Mendelsohn), an oily, hot-headed director of the Imperial Army – which has infamous reverberations in A New Hope. All the while, all out war is breaking out in the background, in shattering and chilling fashion. The two through-lines of Rogue One appear somewhat disparate but are elegantly woven together, uniting a sort of The Dirty Dozen meets Apocalypse Now intergalactic showdown. Whatever the efforts and “retooling” that came out of the massively reported, if mostly speculated, re-shoots never hinder the cohesiveness of the tale nor its visual clarity; Rogue One bristles with a majestic polish. As Edwards showcased so succinctly in his 2014 reboot of Godzilla, pop filmmaking needn’t spare visual beauty and Rogue One proves a deeper extension thanks to director of photography Greig Fraser’s striking vistas, the stately production design of Doug Chiang and Neil Lamont, grand visual effects work and the crisp, crystalline cuts from editors John Gilroy, Colin Goudie and Jabez Olssen. The filmmakers also play with the nostalgia effect with fairly discerning measures. While flashes and Easter eggs of Star Wars lore float in and out every so often and play in some degrees a bit on the flat side, there’s refreshingly little fan service for the pure sake of fan service in Rogue One. The continuity is laid out, cemented and fermented but thankfully, on terms of storytelling and character development, the film is given time to breathe and for that gets to stand on its own. Further more, there’s a startling boldness to this one-off conceit as this chapter closes – that may mystify, enlighten or perhaps enrage – but will certainly be hard to shake. Rogue One is a risky endeavor, but passes admirably. Rogue One: A Star Wars Story is tasked with introducing a whole new slate of characters and further complicate and expand the Star Wars universe. With a high degree of difficulty curve, Rogue One delights (and unnerves) due to taut direction, an eclectic mixture of enchanting characters, beautifully defined visuals and good-old fashioned storytelling verve. Part caper, part epic, Rogue One takes some time to soar – and looks and sounds a little different than before (composer Michael Giacchino does his best John Williams) – but ultimately proves a worthy piece of the Star Wars puzzle.